Feb 1st, 2017 marked Bauer GMC’s expansion into West Coast Canada. 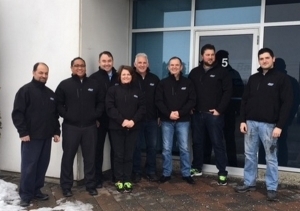 Our new sales office and assembly centre is based in Abbotsford, BC. The facility has full service and assembly capabilities to serve our Western customer base, making this an important addition to the Bauer GMC organization. Doug Leith, a long term Bauer associate has taken the lead in the service and repair division.